Once you’ve made the decision to file for bankruptcy, any credit card use after that point becomes highly scrutinized and very suspect. This should be obvious. After all, if someone decides that they are seeking to eliminate their credit card debt through bankruptcy, then incurring additional credit card debt can be considered fraudulent. 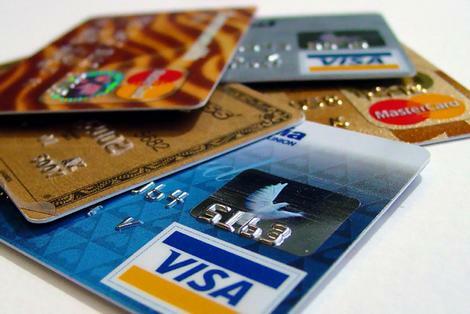 If a credit card company learns that a debtor used a card without any intention of making full payment, then the credit card company has the right to object to the debtor’s discharge of that particular debt. What’s more, if the case trustee or United States Trustee learns that the debtor intentionally “charged up” his or her cards before filing, then the either trustee can seek to have the debtor’s discharge denied or case dismissed. There is also the possibility that the debtor can be found to have engaged in bankruptcy fraud — a criminal offense. Bankruptcy is a very powerful consumer protection tool that can enable you to eliminate all credit card debts and get a fresh new financial start. 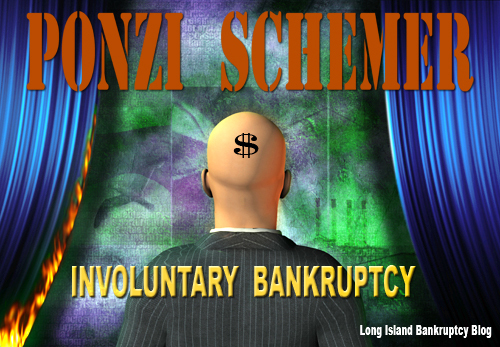 Don’t jeopardize your ability to take advantage of the federal bankruptcy laws by being greedy or foolish. Don’t create unnecessary red flags that can expose your case to additional review. So don’t use your credit cards once you’ve decided to file bankruptcy. We are all aware of people who cheat on their taxes, and crooked accountants who sometimes assist them. Unfortunately there are a few bad apples in the bankruptcy arena as well: debtors who lie in their bankruptcy proceedings and attorneys who may help them. Authorities estimate that ten percent of all bankruptcy cases contain some element of fraud. The Bankruptcy Code imposes an affirmative duty on a debtor to truthfully list all assets and other information required in the petition. This must be done under the federal penalty of perjury. Not only can dishonesty in connection with a bankruptcy case result in the denial of a discharge pursuant to Bankruptcy Code section 727, but it can also land the guilty party in the jail. Increased Investigations of Bankruptcy Crimes. Now that the U.S. Trustee’s office has embarked upon a quest to sniff out bankruptcy abuse and bankruptcy fraud through its Civil Enforcement Initiative, it appears that an increasing number of those individuals who commit bankruptcy crime are being caught. The U.S. Trustee, which is a division of the Department of Justice (DOJ) also now has a Criminal Enforcement Unit. Criminal procedure aspects of bankruptcy fraud are set out in Title 18 of the United States Code. Section 152 of that title states that whoever knowingly and fraudulently conceals assets, makes false oaths, presents false claims, receives property with the intent of defeating the provisions of the Bankruptcy Code, destroys records of the debtor, or withholds documents from a trustee, shall be imprisoned for up to five years or fined up to $5,000. The same statute also imposes liability upon any agent or officer of any person or corporation involved in such fraud. Section 155 of that title states that a debtor’s attorney who knowingly and fraudulently enters into an agreement with another attorney for the purpose of fixing the fees to be paid to any attorney for services rendered, with such fees to be paid from the bankruptcy estate, shall be imprisoned for up to a year or fined up to $5,000. Another part of that title, section 3057, imposes a congressional directive to the district offices of the U.S. Attorney to become more active in the prosecution of bankruptcy fraud cases. Bankruptcy fraud can involve other federal statutes as well. Although bankruptcy fraud is committed by a very limited few, it nevertheless has at times cast a negative reflection upon everyone who files for bankruptcy relief. Some lawyers might not recognize criminal activity that the DOJ now targets for investigation. Examples include filing for bankruptcy using an incorrect Social Security number, and receiving payments from a bankruptcy debtor that were not approved by the bankruptcy court. In both of these examples, DOJ investigations led to convictions and jail time. The decision to prosecute is based on the level of loss or injury, the existence of sufficient evidence, and the clarity of the law. In some cases, civil penalties for fraud are deemed sufficient to punish and deter. The DOJ often issues press releases about recent indictments and convictions for bankruptcy fraud. Consumer Bankruptcy News, an excellent periodical for practitioners, now regularly reports news of bankruptcy crime. The following cases, which were gleaned from recent issues and press releases, highlight some interesting bankruptcy crimes involving not only debtors, but their attorneys as well. Colorado attorney suspended because he secured his legal fees by taking liens against client’s homes. Conrad Kindsfather not only secured his unpaid legal fees by having his bankruptcy clients give him a mortgage on their property, he then failed to disclose his interest in the property in the bankruptcy proceeding. Practical Tip: If you become a secured creditor of the debtor, you have a conflict of interest in a bankruptcy proceeding and may not represent the debtor. Also, and this probably goes without saying, do not prepare a petition and intentionally conceal material information, as this is a deceptive practice. Identification Theft in Bankruptcy Proceeding Lands Defendant in Prison. Rodney Jones obtained a fraudulent identification card and used it to impersonate someone by filing a bankruptcy petition in that person’s name in order to stop a foreclosure proceeding. Practical Tip: Always ask for and check your client’s driver’s license and social security card at the time they retain you, and make sure your client is who he or she appears to be. 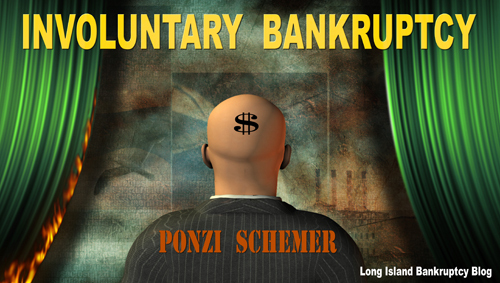 Debtor lied about assets owned by his corporation and was convicted for bankruptcy fraud. Duncan Edwards filed a Chapter 13 petition and listed his corporation as an asset, but indicated that it had only nominal value. It turned out that the corporation owned stock options in another corporation. Edwards later converted his case to Chapter 7 and did disclose the stock options, but testified that they were worthless. 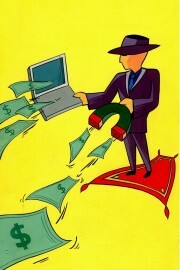 A few days later the trustee learned that the debtor had sold the options two weeks prior to the hearing for $445,000. Needless to say, Edwards will be serving time. Practical Tip: Try to make sure your client is realistic about the value of scheduled assets. Remind your client that pulling a fast one and trying to cheat in the bankruptcy system can result in a felony conviction. Attorney and client are both indicted for scheme to defraud creditors. Arnold Stuart retained Gregory Lyons, Esq. The U.S. Attorney alleged that they schemed to prevent certain creditors from obtaining and recording a judgment lien on Stewart’s property. While Stewart was in bankruptcy, the men allegedly entered into a coal-mining investment encumbering the debtor’s property, but never disclosed that fact to the creditors, the bankruptcy court or the trustee. Instead, they led creditors to believe they were following the order of the bankruptcy court to sell the land and to pay proceeds to the creditors, according to the investigators. When it appeared that some creditors had learned of the scheme, the defendants attempted to conceal the fraud by dismissing the bankruptcy case; however, they were caught. Practical Tip: Practitioners should be aware that there may be criminal law consequences based on advice given and actions taken in the planning and conduct of a bankruptcy case. Bankruptcy crime seminar in November. Stephanie Wickouski is one of the country’s leading experts on bankruptcy crime. She is the author of the leading treatise on that subject. On November 17, 2004, she will be joined by Southern District Bankruptcy Judge Cornelius Blackshear and Deidre Martini, U.S. Trustee for Region 2, for a roundtable discussion of bankruptcy crimes, their genus and aftermath. The panel will explore the effects that these crimes have on the economy and on confidence in the economic system. The seminar, which will be at the Milleridge Cottage in Jericho, is being sponsored by the Long Island Chapter of the Turnaround Management Association. For information, contact Chapter President Jeff Wurst at (516) 663-6535. About the Author. Long Island Bankruptcy Attorney Craig D. Robins, Esq., is a regular columnist for the Suffolk Lawyer, the official publication of the Suffolk County Bar Association in New York. This article appeared in the October 2004 issue of the Suffolk Lawyer. Mr. Robins is a bankruptcy lawyer who has represented thousands of consumer and business clients during the past twenty years. He has offices in Medford, Commack, Woodbury and Valley Stream. (516) 496-0800. 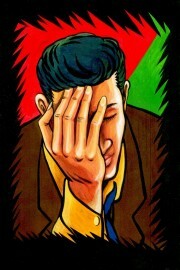 For information about filing bankruptcy on Long Island, please visit his Bankruptcy web site: http://www.BankruptcyCanHelp.com.